Mumbai: The Bharatiya Janata Party (BJP) claimed to have constructed 3.4 million toilets in Karnataka under Swachh Bharat Abhiyan (Clean India Mission) during four years of the National Democratic Alliance (since May 2014) while the earlier United Progressive Alliance (UPA) government led by the Congress constructed only 2 million toilets in four years. The BJP also claimed that while the UPA spent Rs 350 crore on building toilets, the NDA has spent Rs 2,100 crore. 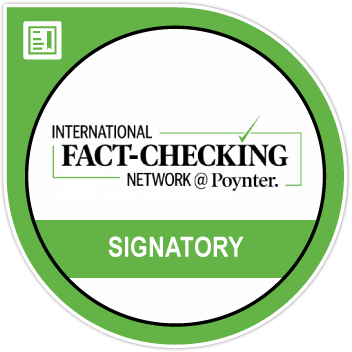 While the BJP constructed more toilets, the other claims appeared to be false, even though the data are from different time periods and not directly comparable, according to a FactChecker analysis. The UPA constructed 4.9 million toilets in rural areas over five years (2009-2014) under the Nirmal Bharat Abhiyan–predecessor to the Swachh Bharat Abhiyan–as these data show, not 2 million as the BJP claims. We have compared only rural toilets because the Nirmal Bharat Abhiyan built toilets only in rural India. We found the claim that the NDA has built 3.4 million toilets to be true. The NDA government has constructed 3.7 million household toilets in rural Karnataka, data show. 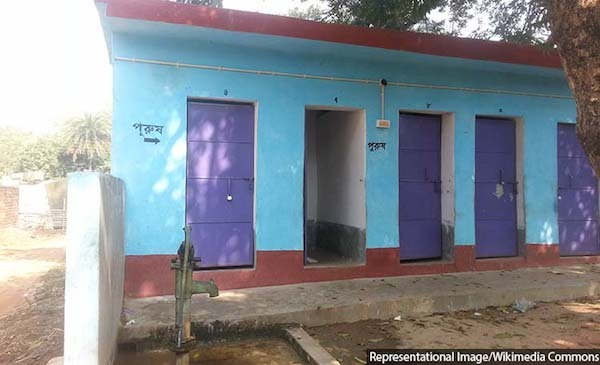 The 4.9 million individual household toilets constructed by the UPA under the Nirmal Bharat Abhiyan fell short of the target of 5.8 million, according to this reply to the Rajya sabha (upper house of Parliament) on September 30, 2014. The Nirmal Bharat Abhiyan was launched 2009 in rural India across 607 districts in 30 states/union territories. The programme achieved 76% of its target with the construction of 97 million household toilets against a target of 127 million toilets. As of April 2018–with a year-and-a half left for the Swachh Bharat Abhiyan target of ending open defecation–70 million toilets in rural areas and 4.6 million toilets in urban areas have been constructed, and 16 states and union territories, 2,077 cities and 352,817 villages have declared themselves open-defecation-free (ODF), data show. The second BJP claim on the money spent by the UPA on toilets in Karnataka is wrong. The allocation for Nirmal Bharat Abhiyan from 2009 to 2014 was Rs 502 crore, while the allocation for Swachh Bharat Abhiyan from 2014-2018 was Rs 1,835 crore for Karnataka. The BJP had claimed that the UPA spent Rs 350 crore, while the NDA has spent Rs 2,100 crore. Note: Figures for Nirmal Bharat Abhiyan include central and state share. Figures for Swachh Bharat Abhiyan are as of February 5, 2018. The Congress jumped into the debate by comparing the cost of construction per toilet, claiming that under the UPA, the cost of construction was Rs 1,750 and under the NDA, it was was Rs 6,177. Using the expenditure from the above table, we found that under the UPA, the construction cost per toilet was Rs 1,024 while the cost was Rs 4,959 under the NDA. Under the Nirmal Bharat Abhiyan, the cost per toilet was estimated at Rs 10,000, and this was to be shared between the centre (60%), the state government (20%) and the household (20%). So, for 4.9 million toilets, at Rs 8,000 per toilet, the centre and the state should have together spent Rs 3,920 crore–nearly eight times the actual spending of Rs 502 crore. Under the Swachh Bharat Abhiyan, the cost per toilet was raised to Rs 12,000, and is shared between the centre (60%) and the state government (40%). So, for 3.7 million toilets, at Rs 7,200 per toilet, the centre should have spent Rs 2,664 crore–45% more than the actual spending of Rs 1,835 crore. More Indians have access to toilets but little attention to education and changing attitudes means that at least 522 million Indians still defecate in the open, leaving millions susceptible to disease and poverty, IndiaSpend reported on January 31, 2018.